In the past two decades or so, national libraries have been digitising millions of pages of books, newspapers, magazines and other text-based collections. In this digital age, the research landscape is changing rapidly, with scholars able to ask new types of questions and answer them in novel ways by working with a wide variety of materials and in new collaborative modes. As a national library, the British Library (BL) holds over 150 million items dating as far back as 2000 BC and is responding to this climate by realigning its services and structure, including the creation of a new digital scholarship department, but there are still fundamental changes the Library needs to make in order to allow researchers to fully exploit digital resources. We are passionate about working with researchers and scholars so that they can use our digital collection to create new knowledge. The National Library of the Netherlands (KB) has planned to have digitised and OCRed its entire collection of books, periodicals and newspapers from 1470 onwards by the year 2030. But already in 2013, 10% of this enormous task will be completed, resulting in 73 million digitised pages, either from the KB itself or via public-private partnerships as Google Books and ProQuest. Many are already available via various websites (e.g. kranten.kb.nl, statengeneraaldigitaal.nl, anp.kb.nl, earlydutchbooksonline.nl) and we are working on a single entry point to (re)search all sets simultaneously. Of course, as an institution that serves the community, these (vast) digitisation projects are not done for ourselves and we make everything we digitise publicly available. Unfortunately, as a library that is not connected to a university — with researchers of their own — a place for us in the Digital Humanities landscape is not as naturally formed as that of a university library. But we do have interesting material and want to get our data out there and have it used by researchers, the general public, or anyone who is interested in large corpora of text. But how can we best achieve this? What does the Digital Humanities community need from us? What do we have to do/be as institutions to serve researchers who want to get their hands dirty with this data? How would you like to access this data? Would you prefer a lab with support from material experts and programmers? Would you rather have quantity over quality? Which formats should we offer? This poster will present the KB as the National Library of the Netherlands, and the collections we (currently) have, but also our efforts to make our data available as complete sets by setting up a Data Services team that focuses on the questions raised by these new activities. 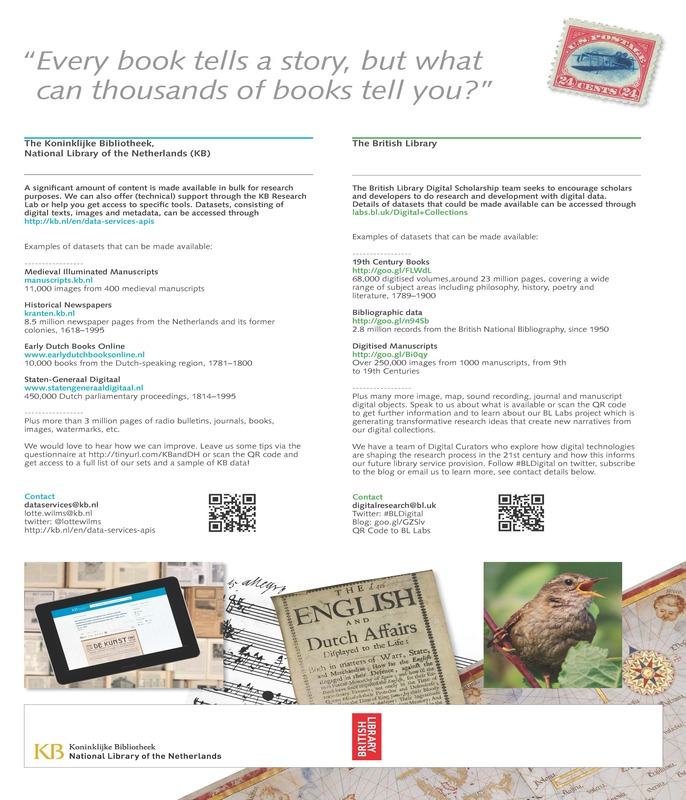 This poster will also present the British Library, the data and services it provides and the BL Labs project which is designed to achieve the transformational steps that will change the way the Library provides access to its digital collections and enable scholars to research entire collections rather than just individual items. 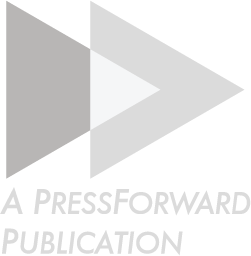 We hope to stir up a discussion with the digital humanists at DH2013 to ascertain whether our work is going into the right direction, and what researchers need and expect from us as national libraries. How can we help you? As Head of the Digital Research, Aly Conteh leads a team which is focused on developing a thorough understanding of changes in digital and other technologies and their application to arts and humanities and social sciences research He has worked at the Library since 2003 and has been responsible for the development of policies, workflows and standards for digitising items from the Library's collections. He is as a member of the European Commission’s Member States’ Expert Group on Digitisation and Digital Preservation. Lotte Wilms works in the European Projects team of the Research department of the National Library of the Netherlands. She is the KB Project Leader for Europeana Newspapers and coordinates several Digital Humanities efforts from the Research department of the KB. She has a BA in English Language and Culture and an MA in Medieval Studies from the University of Utrecht. She has worked at the KB since 2008 on various (digitisation) projects.